Time for a New Adventure! 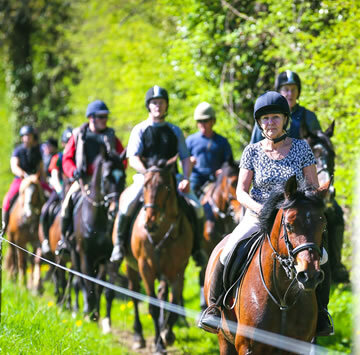 Whether you’re a horse lover with a passion for horses and horse riding, or a business looking for a team building experience with a difference, Abbeyfield Farm has everything you need. 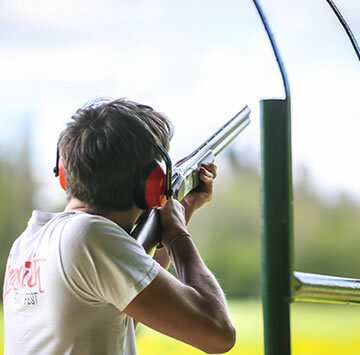 Our extensive shooting grounds have made us a popular choice among those looking for an escape from the city with a touch of class. 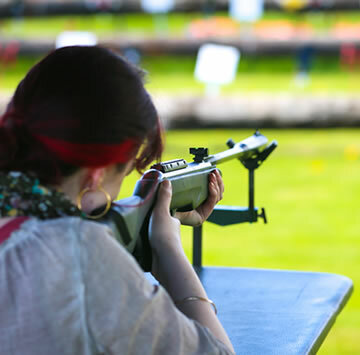 Visitors can try their hand at clay pigeon shooting, archery and even target rifle shooting. You’ll soon find yourself caught up in some friendly competition with your friends or colleagues! 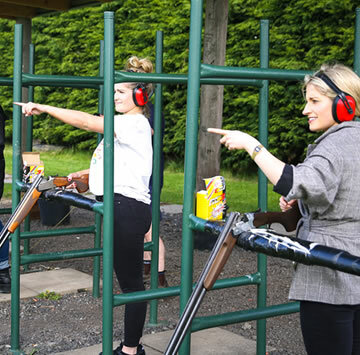 Ireland’s leading Outdoor Country Pursuits Centre, offering top class Clay Pigeon Shooting, an Air Rifle Range, Archery and an Equestrian Centre. The farm is nestled in over 240 acres of picturesque Kildare countryside less than 20 minutes drive from Dublin’s M50. 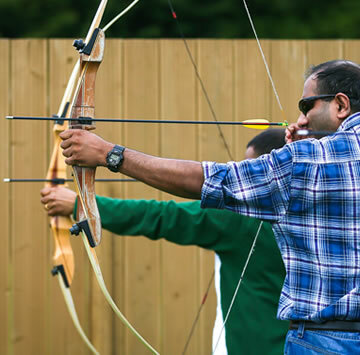 Ideal for Stag Parties, Hen Parties, Corporate Team Building, Incentive Events and Outdoor Adventure Enthusiasts. Ireland’s leading Country Pursuits centre offering the best value packages and the best experience without compromising quality. We had a terrific time as a group of 12 out for a day in the country! Daragh was terrific from the start to help accommodating our group, our varied level of riders, and nervous first-time shooters. Because of his patience and expertise, the ladies in the group quite easily outshot the men. Thank you again Daragh! Lynne S.
Let our experienced and friendly staff provide you with a safe and enjoyable afternoon of fun outdoor activities. For the first timer, expert tuition is provided to allow you get the very best out of each pursuit. For the accomplished let us push your skills to the limit. 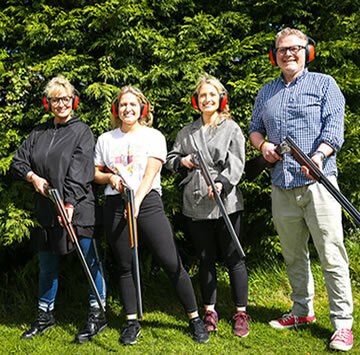 Whether you are looking for a great location for Team Building Activities or you are planning an exciting Stag or Hen Party, look no further than Abbeyfield Country Pursuits! Went clay pigeon shooting with my wife and it was excellent. Having never fired a shotgun we were a little nervous but Daragh was excellent and very quickly put us at ease. Stephen D.
Our next Pony Camp will run during the Halloween Holidays. Set on over 240 acres we have a vibrant Equestrian Centre with daily ride-outs available for all standards of rider. The 40 obstacle all weather cross country course is open all year round, from pre-novice to open standard. 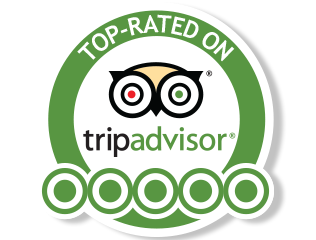 Our country treks are away from all traffic and roads in the peaceful Kildare country side. With a selection of over 30 horses, we have one for every type of rider. For our younger riders we hold pony camps through all the holidays from beginners upwards. This place is the best. Great horses and staff and the fields are amazing. It’s great to get back in the saddle with no pressure to jump and extremely understanding staff that are very patient with all who go there. Highly recommend. Contact Us Now to Book. © Copyright 2018 Abbeyfield Farm, Kildare. All Rights Reserved.